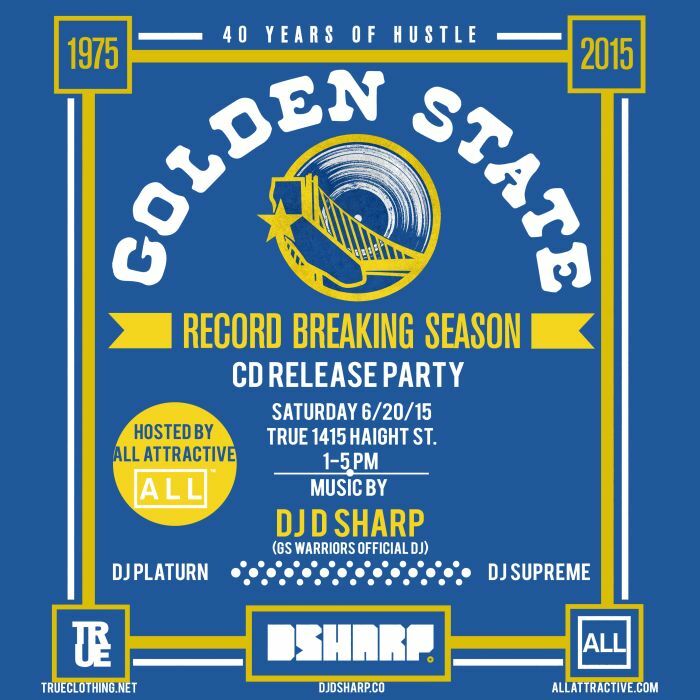 We’re celebrating the release of our collaboration with the Golden State Warriors own DJ D-Sharp and Oakland’s Allattractive this saturday at our Haight Street location from 1-5 PM. Come through, cop the tee and CD and listen to some Bay heavy sets from D-Sharp himself, DJ Supreme, & DJ Platurn. Spread the word Bay Area, and congrats to the DUBS on their win! The post ‘RECORD BREAKING SEASON’ in-store party this SATURDAY in SF! appeared first on True Clothing - Blog.